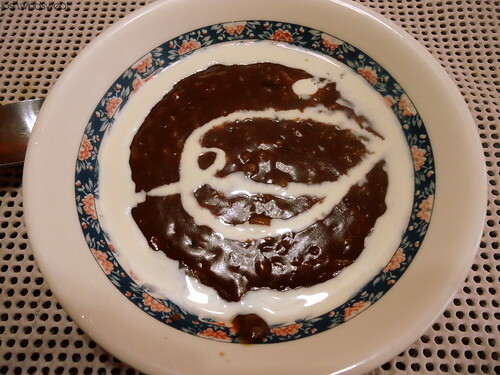 Thinking more about being local, the first thing that comes to mind is eating a champorado in the comforts of our home! Champorado or chocolate colored rice porridge in the Philippines has also become one of my favorite comfort food especially when it’s a rainy weather. I tried eating one in a local restaurant but nothing beats a home cooked champorado. It became my preferred snack during rainy days because I find it easy to prepare and cook it! I would only need the excess uneaten rice from a previous meal, unsweetened tablea or cacao chocolate, and brown sugar. First I will cook the excess rice with water in a rice pot then mix it with tablea which I let it melted. Afterwards, I will add some sugar depending on my taste bud and I prefer champorado to have just enough sweetness. When it’s already cooked and served in a plate, I top it with powdered milk but some put evaporated milk instead. Well it really depends on anyone’s preferences. In our province, I even tried to include fried shrimp in my champorado which I also found tasty and delicious! This entry was posted in Food and tagged cacao chocolate, Champorado, Chocolate, Cooking, Daily Post, food, Philippines, postaday, Rice. Bookmark the permalink.